Bob Veres’ Insider’s Forum conference just keeps getting better year after year. We really enjoyed visiting with our clients and catching up with many old friends last week. The venue, which was the historic Hotel Del Coronado in San Diego, was amazing. There was a large emphasis on robo-advisors and how they are beginning to play a complementary role in professional financial advisory firms. There was also much discussion about how the new Dept. of Labor fiduciary rule is impacting advisors and how the robos can participate in digital management IRA accounts that now must be managed. Congratulations to Skip Schweiss, Managing Director of Retirement Plan Services at TD Ameritrade, for winning this year’s Insiders Forum leadership award. 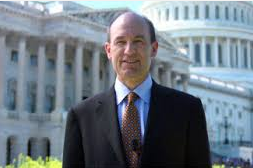 According to Bob Veres, Skip played a major role in Washington lobbying for the new DOL ruling. Rob Major and Skip go back 17 years and all of us here at AssetBook want to congratulate him for his valiant efforts. We got word that next year’s Insiders Forum will be held in Nashville, TN. We will definitely be there and hope to see you there too! Last week one our clients was trying to change one of the investments in an investment-based model, and unintentionally changed the symbol in an investment. This caused havoc in their database because the symbol is the key linkage for investment records and the custodial data feed. This action resulted in a full database backup restore from the date that the symbol was changed. Thankfully, not much work was lost. As a reminder, the key fields that serve a “linkages” to our custodial data feeds are the symbol and the cusip for investments and account numbers for accounts. We thought it would be a good idea to show users how to switch out an investment in an investment model. When you want to change an investment in an investment model, you need to first delete the investment that needs to be removed. To do this, just click the trash can beside the investment that needs to be removed. 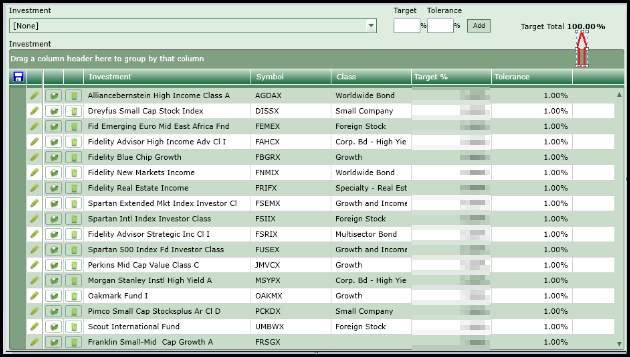 Once FMCSX has been removed, add Franklin Mid Cap Growth (FRGSX) by choosing it from the investment drop-down list. Finally, just make sure that your total percentage for the Model is 100%. Posted on September 26, 2016 September 26, 2016 Author Rob MajorCategories Did You Know? Conference season is upon us and AssetBook officially kicks off our fall campaign “Be Your Self” with AssetBook at the Bob Veres Insider’s Forum 2016 conference next week in San Diego. AssetBook’s Founder Rob Major and VP of Business Development David Robertson will be representing AssetBook at the conference at the beautiful Hotel Del Coronado. AssetBook integrates with best of breed integration partners so that advisors can implement the perfect technology solutions for their firm. If you are at the conference be sure to stop by our booth, where we will be giving away selfie sticks. While you are there you can learn about how our portfolio management system can integrate with your firm’s technology solutions. Our client portal partners, ModestSpark will be holding several webinars this month. These webinars focus on key features, best practices, and deep-dives on specific topics. Description: The Document Center is a key feature within ModestSpark. With unlimited storage and easy access for you and clients, the Document Center is a vital place to securely store quarterly reports, invoices, and other important documents. Learn more about the use of Document Center, tips/tricks to increase adoption and migration of documents into Document Center. Description: With ModestSpark, there are dozens of headlines and visualizations to choose from. This webinar goes into detail on the most popular headlines and key visualizations by examing the content behind the headlines/visualizations and identifying the data requirements for each. Description: The big day is here – it’s time to roll out ModestSpark to your customers! This webinar shares best practices we’ve learned from our customers on how to approach the rollout, strategies for launch and marketing this great service to your clients. This should be a high-value webinar for those customers prepping for a rollout as well as those that have already rolled out as we’ll share post-rollout tips to keep your clients engaged!